Fuel delivery varies by region, but it should be around $7 for the service — plus the price of the gas. Drivers can also elect to pay a $20 monthly membership, which includes free weekly deliveries. Elsewhere, a basic wash can cost around $45, with a full “detail” clean setting you back $175, though prices may be higher in areas such as San Francisco. 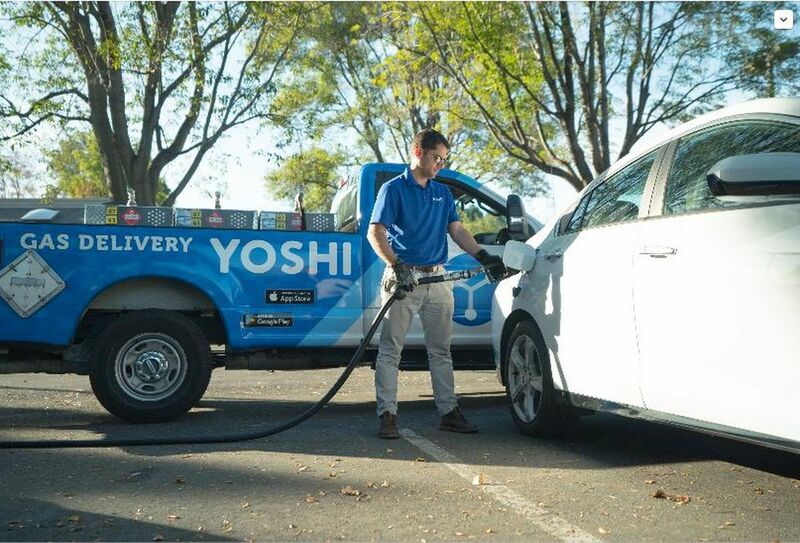 Yoshi operates across Silicon Valley, San Francisco, Nashville, Austin, Atlanta, Los Angeles, and Chicago. But the company has also announced a fresh $13.7 million in funding via a series A round led by General Motors Ventures and ExxonMobil, with contributions from Y Combinator, the Durant Company, and Arab Angel, among others. With this cash injection, Yoshi said it plans to expand to a further 25 metropolitan areas this year.